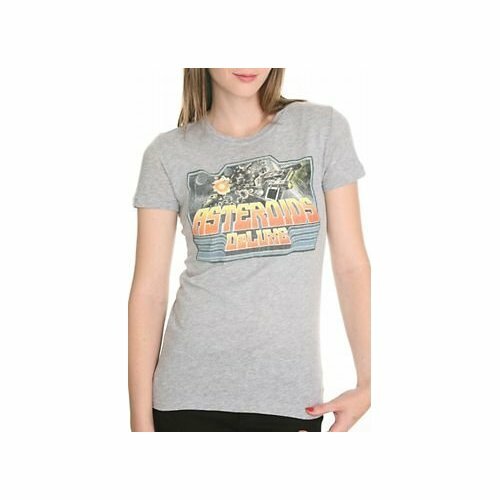 If you’re dressing up for a gala night at the arcade, you’ll need to look sharp; and nothing says sharp shooter like this season’s Asteroids fashion accessories. Unfortunately, “this season” doesn’t update all that often when it comes to quality Asteroids-wear, but here’s a survey of what’s out there. 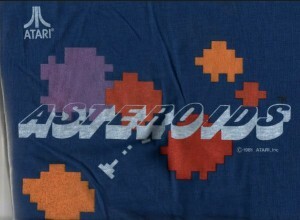 Vintage Asteroids merchandise seems mainly focussed around the Atari 2600. 1983 was a big year for collectables, maybe as a last-ditch effort at game sales before the North American video game crash. 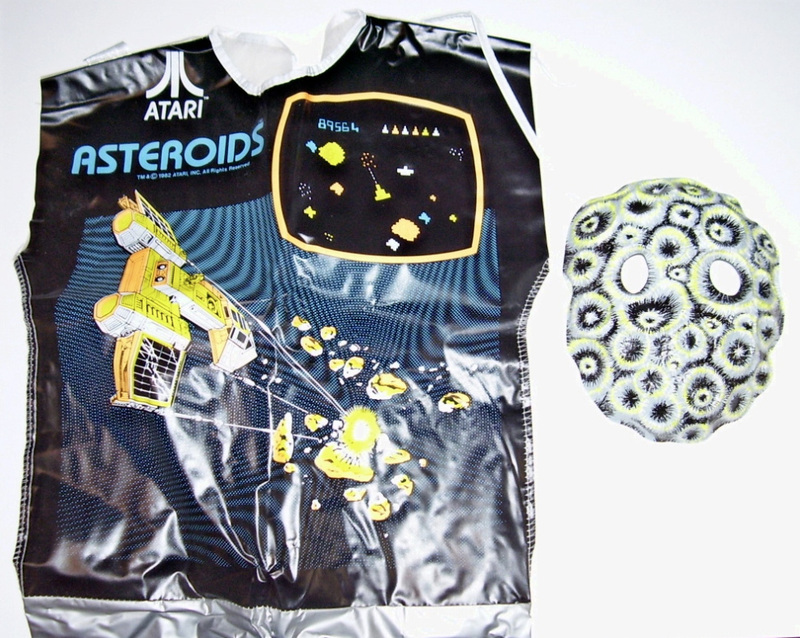 The first and unquestionably most excellent outfit is the Asteroids Halloween costume. For more casual occasions, there’s the colored blocks on blue tee-shirt. And to add a little splash to any outfit, pick a collectable pin. 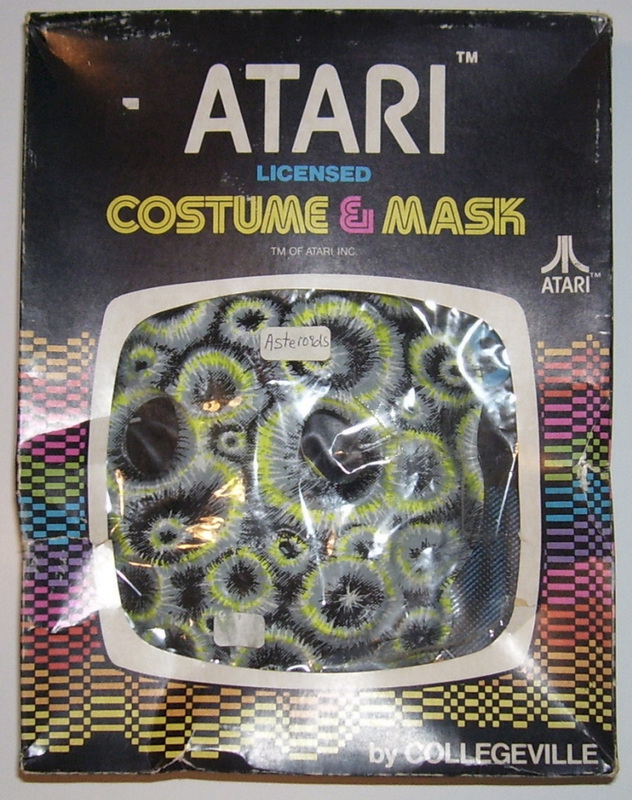 These might be tricky to track down, but to take a look at these and more Atari items from this era, visit the collection at Atari Mania. In more recent years, the hour hand for retro pop has reached 1980 (probably past 1987 by this point), and Atari nostalgia rides the wave. Atari logo shirts are common, but what about Asteroids? Two items stand out. 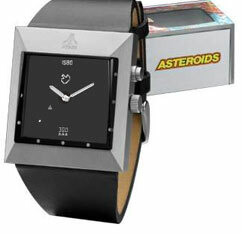 First is Fossil’s collectable Asteroids watch, produced as a limited edition of 5,000 in 2005 (We have #2518). This is a quality watch, with a hefty metal body and black leather strap. It’s big. 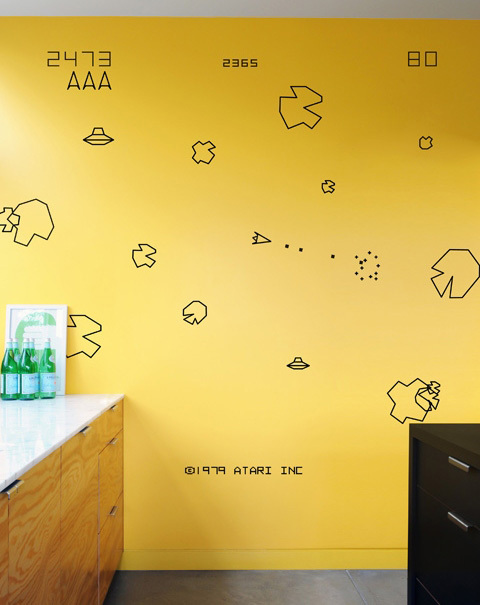 The background is an animated LCD with little Asteroids and ship. You can’t play, but a button on the side allows you to freeze the animation or let it play. It’s not that visible unless you view it in the right light (it’s not backlit), but that actually makes it look like a punk-class timepiece at first glance, which will receive compliments at work. 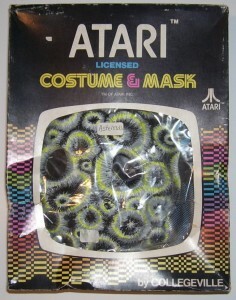 The Atari insignia etched on top is also fairly subtle. It was $130 new, and can still be found on the occasional watch or auction site. It also takes 3 batteries: one for the time and two for the display. Of all Asteroids items, this one stands in a class of its own. 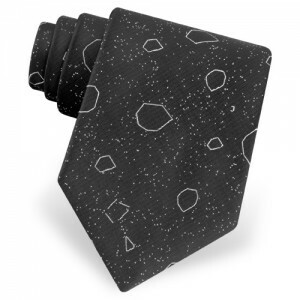 The second newly-minted Asteroids item is a woven microfiber necktie available at Ties.com. It’s not the cheapest quality tie we’ve seen, but it’s close. It IS Asteroids, though. 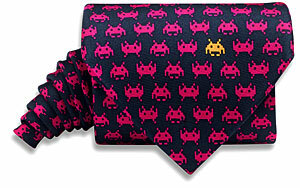 When it comes down to it, the Space Invaders tie from Beau Ties of Vermont is probably a better pick. It’s not Asteroids, but it’s very nice. Soft. Woven. Deserves a mention. Know of any other good finds? Let us know.